This is a thin 68-page collection of Marta’s Poetry. I had earlier read Ayn Rand-ish In Between Times, a work of fiction and the poetic leaning in prose could well mark the promise her poetry held. When you have a lot of expectation, sometimes you are worried with disappointment. It is very rare that a writer’s second work measures up to the first she has written. With a sense of trepidation, I had picked this book, still in awe of the brilliance of her earlier work. This was one work which lifted my admiration to a new height. The book of thirty six poems stands proof to the immense talent of exceptionally talented and prolific writer, not that she needs any. 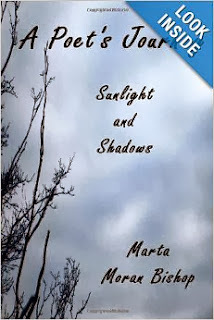 Knowing Marta over the time, I know that these poems are not a play of words. 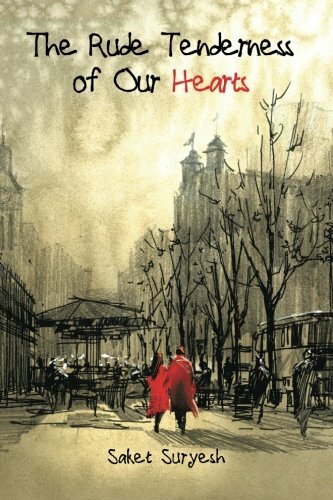 These are the poems through which a sensitive soul breathes, a soft heart bleeds and a benevolent smile shines. The book began with the poem “Abused”, and one cannot miss the powerful strength of words which are very certain about what they intend to communicate. The words thump with rare confidence of feelings as she writes the feelings of a victim, left often alone in “Way too many to count/ The times you left me there/ Spirit broken in two/ shattered, beaten, bloodied.” You feel the nib of the pen held tight with a fury which rises through such immense a pain, like a twister travelling through the air with a rare force- you almost hear the angry pen, piercing through the paper with a desperate vengeance. Marta is an ever-optimist, which is a good thing. That is something which keeps her aloft in spite of a rare softness of emotions that she is blessed with. It helps her soar above the melancholy and leave "All hurts and troubles behind (me)/ Promise of a new life ahead/ If I let go of the painful days/And take only love with me” as she writes in her poem “Melancholy.” When you read these lines, one suddenly again believes in love. Her abundant faith in human life and love seems to stretch out hand to lift you up when she says, “Like a phoenix I rise/ Out of ashes and dust/ Life returns to these limbs” and a heart “that is made whole”. She is an incorrigible believer with an unwavering faith in the beauty and goodness of life which could infect the most cynical mind. She truly rises above the squalor of a heartless world in which we live, she makes happiness a possibility in otherwise bland and desperate world. She confesses so when she writes that “I’m a woman who’ll give/Till my heart has hardened/ My spirit is broken” though we know this spirit can never be broken. She is a woman who, she says, “needs to be loved, heard, and seen.” Marta is a woman who celebrates individuality and non-conformance in a way which takes more than a man to celebrate thus. “Lost love” is only sad poem in the collection, it seems. Even “A Month of Storms” ends with optimistic “When clouds cover the bright sky/ With luck March will be different. This is a bright book, which one can and must read in the days when the weather is gray and life shrinks into a hopeless, sad corner. In times when faith is shaken, trust is broken and love has flown away, tears had just dried, but heart continues to weep, read this book and suddenly a cloud will fly away from beneath which a Sun, benign, kind and happy will smile through. This is a book which will bring hope back and revive one’s faith in human goodness. The language is neat, stylish but never for once intimidating. It is an easy and splendid book. It will make you happy when you are sad and will make you dance with rapture, if you are mildly smiling- A book for all kind of days. Said Samuel Johnson,"Poetry is the art of uniting pleasure with truth” : Marta’s poetry makes one realize, the pleasure and the truth singing in unison. This book deserves not only five stars, but five Suns.